Situated 90Km south of Sicily and 290Km north of Africa, the Maltese Islands are at the heart of the Mediterranean basin, providing a Euro-Mediterranean link to North Africa and the Middle East. A colourful history spanning 7000 years has created a unique culture and an indomitable spirit amongst the Maltese people. From the very first signs of civilisation, as exemplified by the Neolithic temples - reputed to be the oldest standing structures in the world -several nations have left their mark, amongst which one can count the Phoenicians, the Carthaginians, the Romans, the Saracens, the French and finally the British. 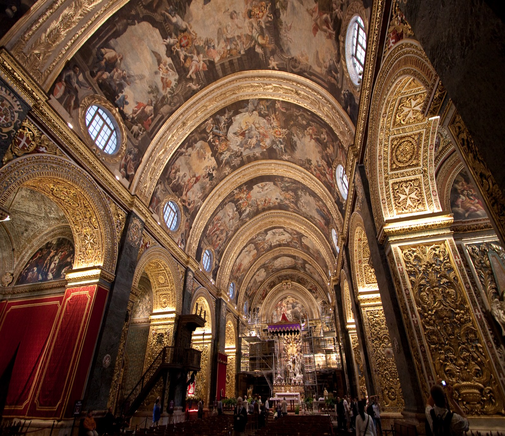 The most visibly evident influence remains the 268-year reign of the Order of the Knights of St. John of Jerusalem, who built the many palaces and beautiful baroque cities that still grace the Maltese Islands today. Malta acquired independence from Britain in 1964, becoming a modern democratic republic and member of the British Commonwealth of Nations. The Official languages are Maltese and English, both of which are widely spoken. Many of the island's 390.000 inhabitants, including business people, are fluent in a number of other languages. Malta enjoys a high standard of living and an excellent education system. Malta has superb international air, sea and telecommunications links with the rest of the world, making it ideal for commerce and trading within the Mediterranean region. The Maltese Islands possess an astoundingly rich heritage, being home to ancient civilizations and the cream of European nobility in the early Medieval to the mid-Renaissance period.